Haryana is not allowing clean water to flow into the Yamuna making the water meant for the national capital more polluted, the AAP government said Tuesday in a plea to the Delhi High Court which has sought the neighbouring state's stand on the issue. 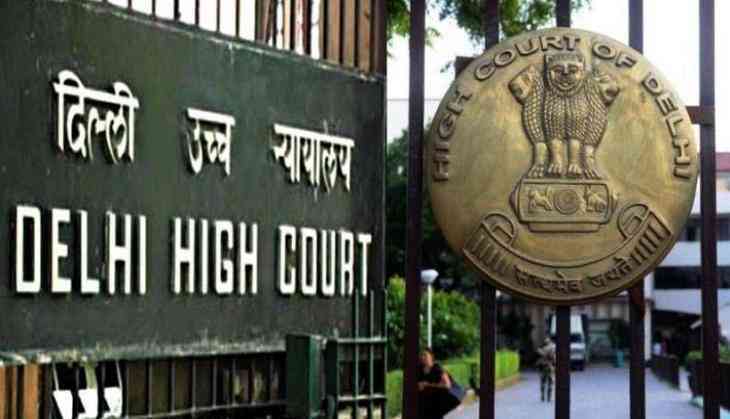 The plea claimed that if urgent steps are not taken to remedy the situation it would adversely affect the water supply to Central Delhi, including the Lutyens zone. A bench of Chief Justice Rajendra Menon and Justice VK Rao issued notice to Haryana and directed the Principal Secretary of its water department to reply to the allegations made by the Delhi government. The court gave the neighbouring state time till February 4 to file its response to the application by the Delhi government's water board, DJB, and listed the matter for further hearing on February 5. Represented by senior advocate Dayan Krishnan and advocate Sumeet Pushkarna, DJB told the bench that the channel which supplies additional water to Yamuna to dilute its pollution levels has been blocked by Haryana and the water being received at Wazirabad was unusable for treatment as it had high levels of ammonia. The application has said that water treated at Wazirabad is supplied to Central Delhi where all the major government offices, bungalows and the Supreme Court and the High Court are located. DJB has sought directions to Haryana to forthwith remove the ''bunds'' or obstructions put up by it on the DD-8 channel, which supplies clean water into Yamuna to dilute its pollution levels and to control the pollutants that are being discharged into the river from factories there. The application has said that if Haryana cannot control the pollutants being discharged into the river, then it should increase the clean water being supplied into the Yamuna to dilute the pollution. The DD-8 channel carries clean water from the Delhi Sub Branch Canal (DSBC) and the Munak canal into the Yamuna to ensure the reservoir at Wazirabad is always kept full, the application has said. However, the bunds put in the channel have decreased clean water supply into the Yamuna whose levels are low due to the dry season, leading to an increase in the concentration of pollutants and making the water unfit for treatment, the DJB has said. Apart from that the Board has also said that obstructing the water channel attracts the provisions of section 431 of IPC which lays down the punishment -- maximum jail term of five years -- for making any road, bridge or river impassable or unnavigable. It has also contended that blocking of the DD-8 channel violated the orders of the Supreme Court to ensure the Wazirabad reservoir is always kept full of water. "Immediate directions are required so that the drinking water supply to Delhi is restored in full," the application has said. The application was moved by DJB in a PIL by a lawyer, S B Tripathi, seeking sufficient water supply for the national capital. The high court had earlier asked the Haryana government to ensure that it releases the entire quantity of water required as per the undertaking given by it to the court. Haryana has to release 719 cusecs of water per day into Munak canal and 330 cusecs per day in DSBC, according to the undertaking and earlier court orders.